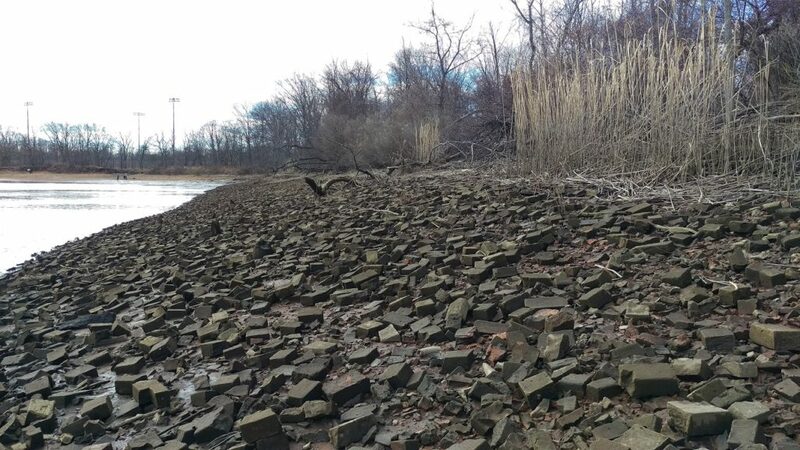 This brick-strewn tidal floodplain is an especially curious aspect of central New Jersey’s industrial legacy. 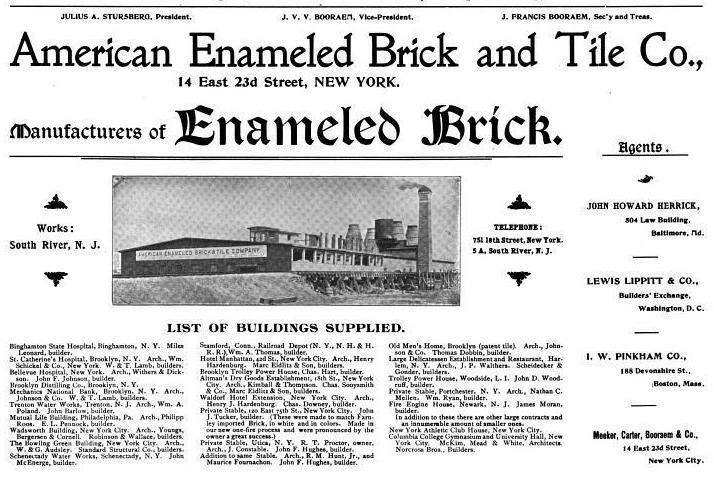 The American Enameled Brick and Tile Company operated at this site from 1893-1934, and many of New York’s brownstones and subways were made from our Lower Raritan clay. My father-in-law’s first job in America was as a brick maker just across the river at the Sayre and Fisher Brick Company. The American Enameled Brick and Tile Co. was established in 1893 in South River by Julius Steurberg, his son Herbert Steurberg, and Francis Booraem. With offices in New York City, they were major players in New York City’s construction. In June, 1934, the South River plant was destroyed by fire, never to be rebuilt. The visual experience here is bizarre: hundreds of thousands of 100+ year old bricks “shoring up” the southern embankment of the South River. The walk across this space is likewise disconcerting. 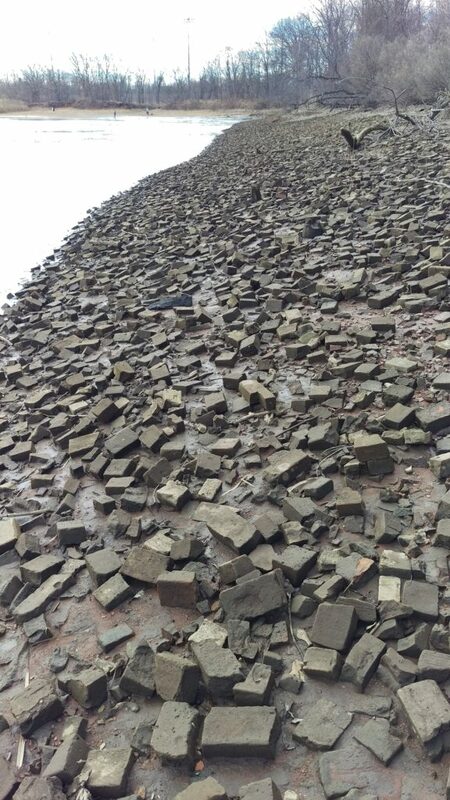 It may look like stable ground but, being tidal (photo was taken at low tide) and heavily silted from upstream erosion, the bricks shift significantly beneath your feet. The South River floodplain is tidal and heavily silted. Photo taken at low tide. We stumbled across another visually compelling remnant of the the brick industry at this site in the form of an abandoned rail spur. This bit of railway led from from brick manufacture to boats that would travel the short distance along the South River to the Raritan River and across Raritan Bay to New York City. Neglected rail spur leading from the former American Enameled Brick and Tile Company to boats waiting to ferry bricks to Manhattan.